This 9mm is better than its predeceor in regard to contrast especially, and also sharpness, but to a lesser degree. 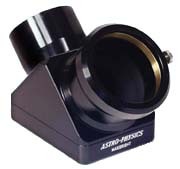 It is a little and light lens that is great for smaller lightly balanced dobs and compact refractors. I liked my 9 nag type 6 so much, I went and purchased a second 9 to use in my TV bino-viewer...Simply put, One outstanding eyepiece, a must for your collection! I replaced an 8.8mm Series 4000 UWA with the 9mm NT6 and I dont miss the 8.8 at all. Contrast is extremely good on solar system objects, in fact, as good or better than my UO 9mm Ortho. Ive eliminated two eyepieces from the eyepiece case. I had often considered obtaining the older Type 1, 9mm Nagler, but I wasnâ€™t particularly fond of the size of the eyepiece and its double-skirt, 2/1.25 inch tube. As a result, I was very excited when the new Type 6 Naglers were released. Al had transformed his 2-inch Goliaths into smaller Davids-lighter, more convenient eyepieces. I initially purchased the 13mm Nagler Type 6, and later the 9mm. I found it remarkable that Al had been able to transform eyepieces of such disparate sizes into a general set featuring similar housings, eye reliefs, and weights. With their 82-degree apparent fields, sharp optics, and comfort of use, the Type 6s must surely rank as the nicest 1.25-in eyepieces available today. 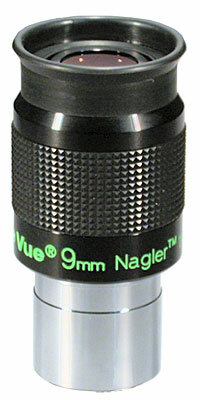 With a TV-85, the 9mm Nagler produces 67x with a 1.2-degree true field. At this magnification, planet surface features are starting to become apparent, yet the entire body is surrounded by black sky. Planets in the TV-85 with the 9mm Nagler resemble jeweled orbs suspended in the abyss of space. 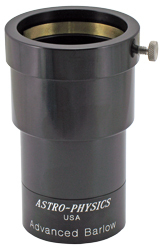 This eyepiece also provides a good medium power for observing deep sky objects. Highly recommended. 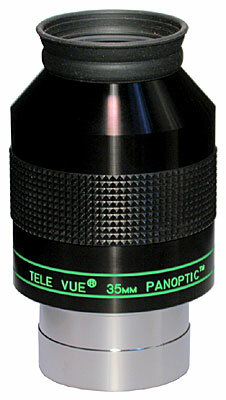 The Nagler 9 Type 6 is an expensive high-end eyepiece, and it performs like it. It takes a little effort just to see the field stop without turning my head, and the stars are very tight across the entire field in my f/6 Newt. Saturn hardly distorts even at the field stop. Contrast and sharpness are excellent, Ill need better seeing to tell if there is a difference between this and a 9mm Ortho I have. The only reason I dont give it a ten is that it would be nice to have a few more mm of eye relief.